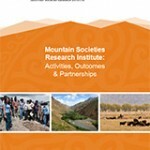 A report produced by the University of Central Asia, Mountain Societies Research Institute has recently been published. 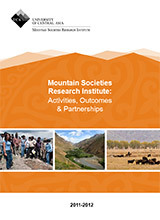 The paper reviews research on mountain tourism in Kyrgyzstan and Tajikistan, identifies knowledge gaps and analyses the contribution of the literature to more sustainable tourism. Eighty-seven regional and international publications were analyzed using the United Nation’s 12 Aims of Sustainable Tourism Framework. Recommendations are made to broaden the scope and strengthen the quality of applied research to support the development of tourism as a driver of economic and social development in mountain communities and more broadly in Kyrgyzstan and Tajikistan.